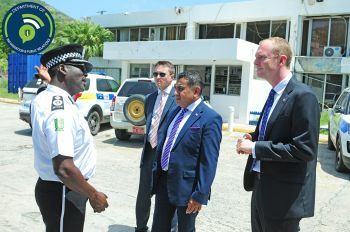 His arrival was conveyed in a press release dated July 31, 2018, by the Government’s Information Service (GIS), which observed that Lord Ahmad attended the official hand-over ceremony for the Magistrate’s Court Modular Building, a gift to the Virgin Islands (VI) from the UK Government and presented the keys to the building to Governor Jaspert and Premier Smith. He was also given a tour of the building. In his remarks at the ceremony, Lord Ahmad spoke of the unity between the VI and the UK and the UK’s commitment to help the Territory rebuild stronger. Lord Ahmad has met with disaster management and security officials including Director of the Department of Disaster Management, Ms Sharleen S. DaBreo, MBE and the Acting Police Commissioner, Mr Alwin James on board the RFA Mounts Bay. He also visited the East End Long Community Centre, the Elmore Stoutt High School and the Road Town Police Station and met with the Cabinet of the Virgin Islands and the Board of the Recovery and Development Agency. 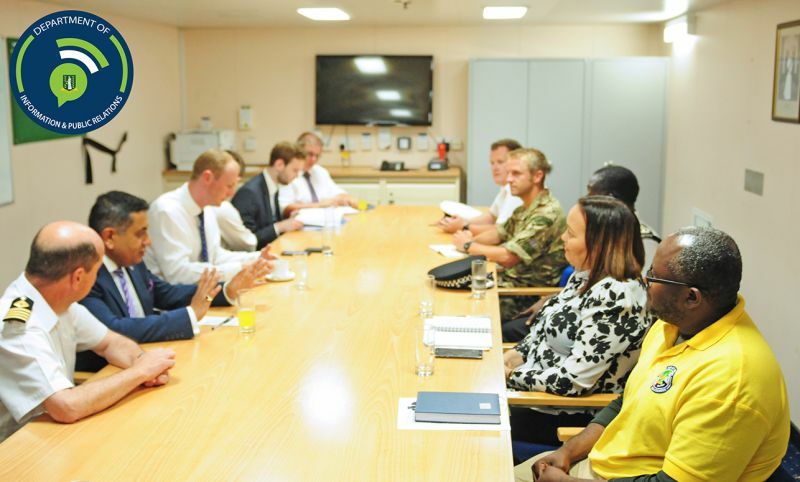 Lord Ahmad will also meet with the Leader of the Opposition, Honourable Andrew Fahie (R1), young entrepreneurs, and tourism and business representatives tomorrow. He departs the VI later in the day on August 2, 2018. So everyone kicks up a fuss that Lord Ahmad never visited, now he visits and meets with Government officials, and not a peep. Where are the persons expressing outrage that the BVI was bypassed? That had the world to say??? Crickets chirping. hope he tipped a few at annas.